Membership in UHPA gives you the right to use the UHPA logo as a sign of reliability and quality, it connects you to your service users and increases the possibility of establishing business relations with reliable companies - active and associate members of UHPA. Your data and activities will be included on our Internet portal at www.uhpa.hr, for the time being in Croatian only. You will earn even greater recognition if you include banners. You can use the password for entering the UHPA member database on the Internet for the latest updates as well as archived news, instructions and regulations essential for the operation of travel agencies in Croatia. 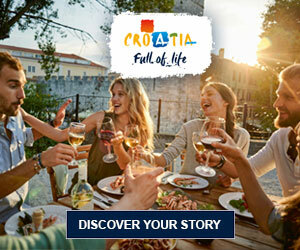 By using this database you will receive daily information and the possibility of getting answers to new queries by individual tourists and agencies from your country about package holidays in Croatia, accommodation and other services in Croatia, and about other offers of our suppliers. Buyers are directed to your agency/company by providing a search of your offer/products to Croatia, by searching the UHPA member directory on the Internet, as you are included in the UHPA agency manual and queries about you are forwarded to the UHPA office. By advertising in UHPA publications, or putting banners on front pages of UHPA´s databases on the Internet at member rates, you not only save on costs but also direct the messages at target potential partners and travellers. At your request, and for the purpose of target marketing, the UHPA office will be sending you search results of members´ activities (addresses via e-mail for further processing). You can also use UHPA´s directories of Croatian and foreign tour operators and agencies. as well as for professional publications. As part of regular information and at your request, you will receive free advice about regulations in catering and tourism, as well as updates on the implementation of Croatian, European and world code of practice in the operation of agencies and hotels. UHPA follows the problems of working individual members, integrates initiatives and proposals of all members and intervenes for them with relevant ministries, bodies, institutions, associations and companies. UHPA has appointed representatives in different councils, committees and bodies of the Ministry of Tourism, the Ministry of the Sea, Transportation and Infrastructure, the Croatian National Tourist Board and tourist boards at lower levels, the BSP of Croatia, in professional associations at world, European and international levels, as well as in important foreign national associations of tour operators and agencies. We will update you about changes in regulations important for the operation of travel agencies. You will be informed on news in the work of most important international professional associations and their members. UHPA represents Croatian agencies in ECTAA, ASTA, DRV, and closely cooperates with all leading national associations of travel agencies worldwide. You will be invited to participate in UHPA annual General Assembly meeting, to the meetings of such sections, work groups and regional committees in which you are interested. In this way you will be able to engage UHPA toward your interests, too. Along with participating in discussion and / or developing or confirming your knowledge of professional and business practice, you will get new business contacts, exchange experience and learn how other UHPA members operate. You will have access to UHPA´s "Black List" of agencies and service providers and, at your request, UHPA will help you in settling financial claims and disputes with agencies and suppliers. You and your staff will be able to attend UHPA´s seminars and lectures by Croatian and foreign tourist experts (very often free of charge). You will be included in UHPA´s annual agency manual, the only one that is distributed at tourist fairs worldwide and in Croatia where the Croatian National Tourist Board or UHPA´s delegates participate, at meetings of the foreign Associations of tour operators and agencies, as well as tourist and economic branch offices in the Republic of Croatia. The manual is a popular and reliable source of information to all suppliers, big companies, conference organizers and different institutions in Croatia and it is used as a reference of good standing of UHPA members presented in it. The right to advertise is reserved only for members and invited partners. With relation to clients, partners and suppliers, this will additionally qualify you as a specialist for travel to Croatia. Why pay more? At member prices you will be able to advertise in the agency handbook, put banners in Internet databases, get UHPA´s publications (on regulations in tourism), while the analyses and materials issued for certain seminars held so far will be provided in case interest is shown. All UHPA´s publications are in Croatian, except for the "Croatian Travel Agencies 1923- 2003" book (in English and Croatian), and UHPA' annual travel agent manual and membership list, printed in English only.